Duende is a restaurant / cafe / wine bar located in Leederville offering breakfast, brunch and tapas. They also have a recently extended bar serving local & international beers and a long list of local & European wines and specially crafted cocktails. 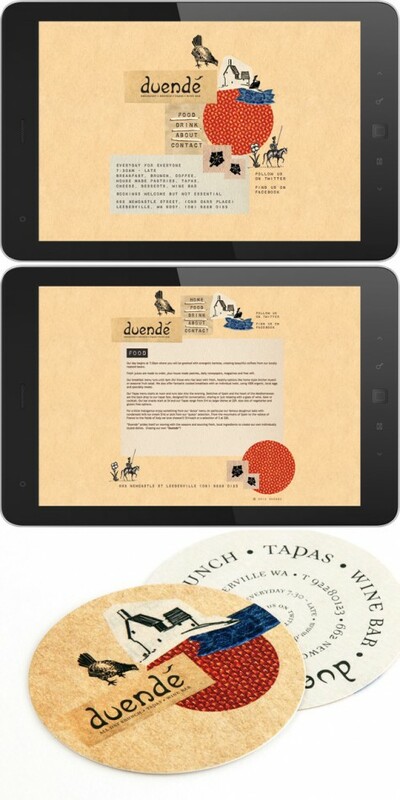 The brief for this web project was very clear; they wanted an eclectic and unconventional website that captured the tone of Duende. The site uses assorted collection of collage, illustration, stitch and textures that beautifully articulate the Duende essence. Unfortunately the new owners just replaced our lovely website. Website design for Media on Mars.